We walked down to Cassiobury Park as many of the roads nearby were being closed because of the Watford Football Club promotion party in the afternoon. When Yvonne and I arrived we were greeted by Carol Tunstall, Fundraising Manager for Watford Mencap. 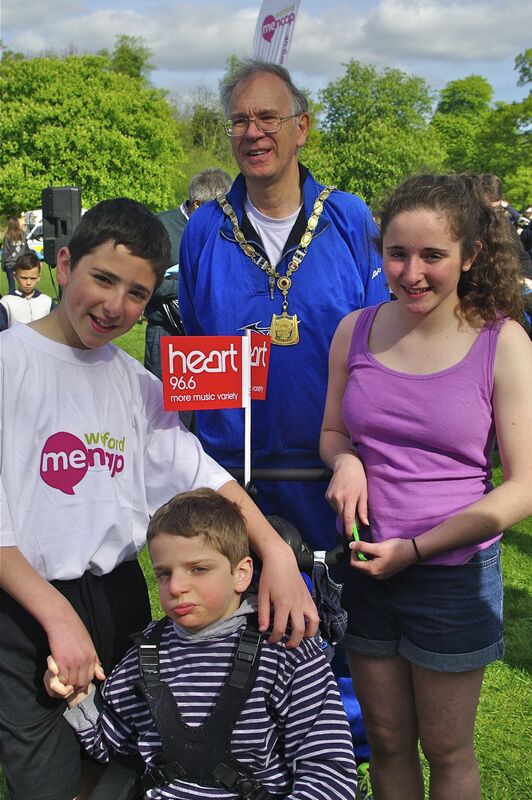 Watford Mencap are one of the three charities I am supporting as Chairman. Yesterday I was asked to start the 1K and the 3K. 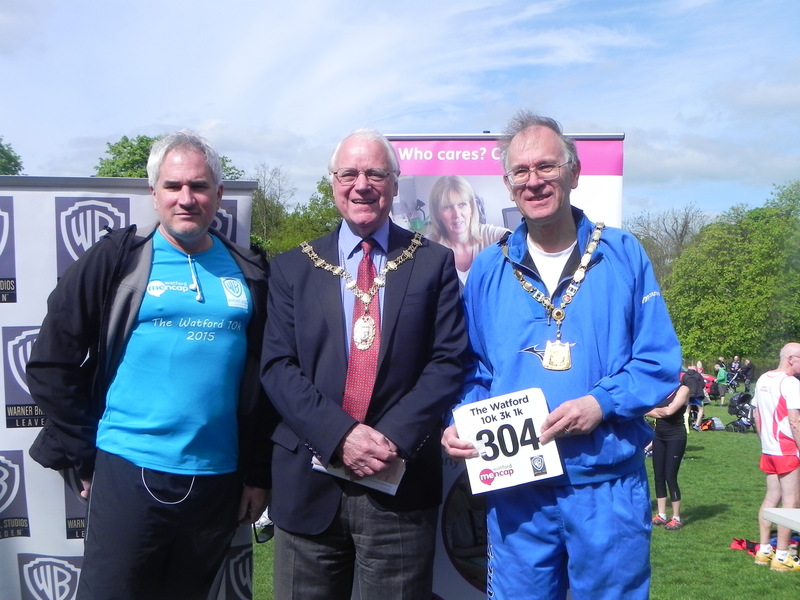 After the 1K it was a photo with George Derbyshire who started the 10K and presented the prizes after the 1K and 3K.run. I ran in the 10K race with my friends Cormac , Jeff , John and Paul.